Learn how to cook farro using three different cooking methods: Stove Top, Oven and Slow Cooker. First a bit about what farro is and what it tastes like. A little while ago, Bob’s Red Mill sent me a big box full of different kinds of grains. There was tri-color quinoa, millet, bulgur, spelt, teff, wheat berries and farro. I couldn’t decide where to start, which grain to cook with first. But then I remembered having a delicious side dish made with farro at an Italian restaurant and I knew that farro was the one. Farro is an ancient grain that’s been around forever. Longer than any other grain, in fact. It’s believed that it is the grain from which all others derive (see thekitchn.com for more info). Farro is high in protein, fiber and B Complex vitamins and it’s pretty low in gluten. When cooked, farro looks a bit like barley but it has a chewier texture. 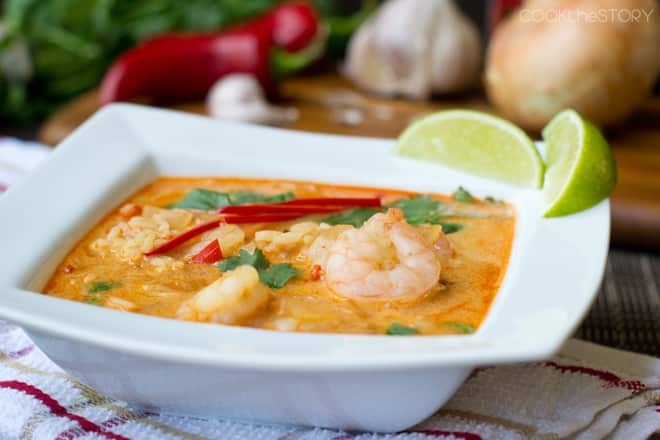 That chewy texture remains even after long-cooking so it’s great in soups and stews where it never gets soggy. That chewy texture also makes for tasty salads. You can pretty much take any pasta salad recipe and turn it into a farro salad recipe successfully. 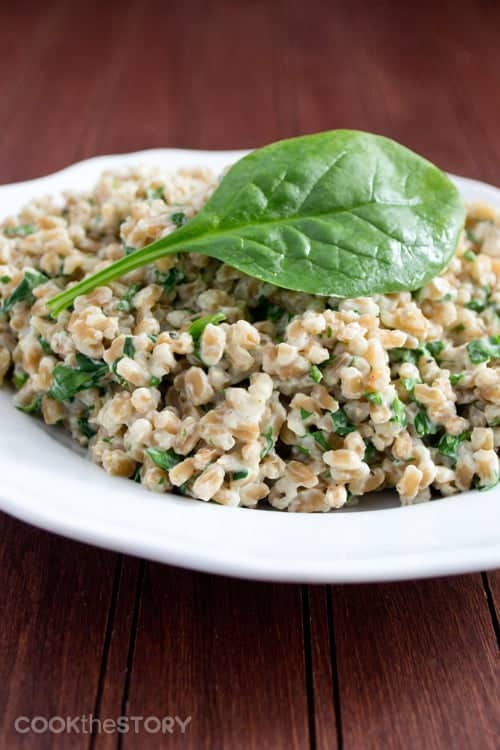 For instance, check out this Greek Farro Salad Recipe by The Lemon Bowl. The first time I made farro at home, I cooked it according to the package directions and then mixed in some shredded cheddar cheese just until it melted in. My husband and I loved it. My 5 year old son was not a fan. But my 2 year old? “Mo fawo pweez,” came out of her mouth *three* times during that dinner. It was pretty amazing to watch her gobble it up and keep asking for more. Since then I’ve been making a bunch of things with farro. 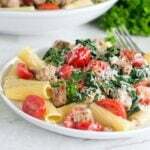 There are these amazing meatballs with farro and rosemary in them and this easy creamy side dish with spinach and cream cheese. Over the coming weeks I’m going to be sharing more farro recipes with you too. There’s a recipe coming up for Special Fried Farro, one for a Farro Bolognese Bake, a Tabouleh made with farro and so much more. For now, I’m going to give you basic instructions on how to cook farro. Do You Need To Soak Farro Before Cooking? You can speed up the cooking time for farro by soaking it in cool water. But honestly, since it only takes about 30 minutes to cook farro without soaking it I don’t usually bother with this step. To soak farro measure it into a pot with a tight-fitting lid. Add enough cold water to completely submerge the grain. Put the lid on the pot and refrigerate for 8-24 hours. In terms of portion sizes, farro doesn’t expand as much as rice or barley. So I tend to make a bit more than I would other grains. Where I would have started with 1 cup of uncooked rice or barley, I’ll use 1 and 1/2 cups of uncooked farro. You can cook farro on the stove top, in the oven or in the slow cooker. I’m giving instructions for all three below. Note: There are different kinds of farro out there (whole grain, pearled, semi-pearled and different varieties too) and it’s not always easy to tell which kind you have. This means that cooking times aren’t exact. I’m giving the cooking times that were needed for the Bob’s Red Mill Farro. 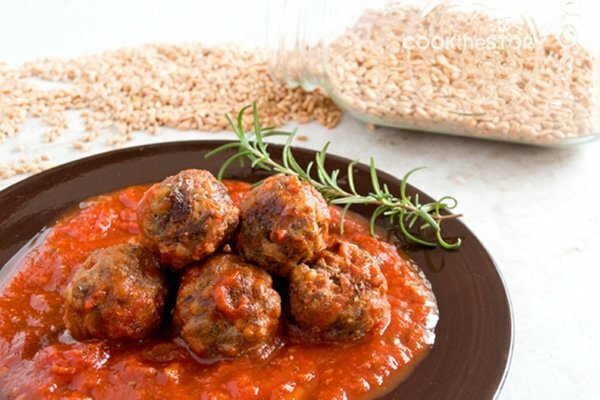 Other farros may take a little less or a little longer to cook. Generally, for stove top you’re looking at between 20-40 minutes simmering time, for oven-cooked farro 30-45 minutes and for slow cooker 2-3.5 hours. Don’t worry too much about this large range though. Farro doesn’t get mushy when overcooked so if you plan for the longer amount of time and yours is ready sooner, it won’t hurt to keep cooking it for awhile. Here are three methods for how to cook farro. The cook time for the stove top method is listed here. 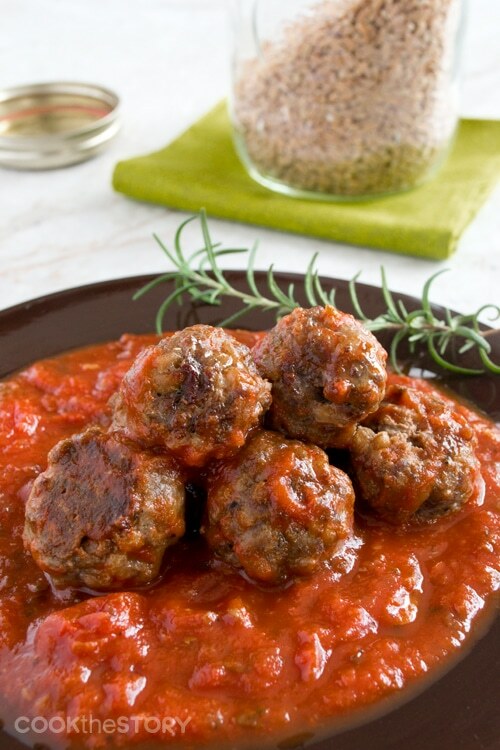 The cook times for the oven and slow cooker methods is listed in the notes section. Measure 1 and 1/2 cups farro into a fine mesh sieve and rinse with cold water. Drain. Transfer to a medium sized pot that has a lid. Add 4 cups water or stock or a combination of both and 1/4 tsp. salt. Bring to a boil over high heat. Reduce heat to low, cover and cook for 25-30 minutes, until it is softened but still chewy. If there is liquid remaining in the pot, drain it off or save it to add to a soup, stew or sauce. Use a fork to gently fluff in the butter or olive oil, if using. Measure all ingredients into a slow cooker. Cook on high until farro is softened about 2-4 hours. Depending on the type of farro you have, the water may or may not have been absorbed. Drain any liquid that's left or use it in a soup, stew or sauce. Preheat oven to 350ºF. Fill a kettle with water and bring it to a boil. Measure the farro into a fine mesh sieve and rinse with cold water. Drain. Transfer the farro to a medium-sized pot that has a tight-fitting lid. Add the salt and the butter or live oil (if using). Measure 4 cups of boiling water from the kettle and pour it into the pot. Stir and then immediately cover and put it into the oven. Cook for 35-40 minutes, until softened but still chewy. Disclosure: Bob’s Red Mill provided items for a giveaway and provided me with the same set of grains to try as a sample. I have not been compensated in any other way. All opinions are my own. The giveaway is now closed. This post originally appeared in January of 2014 and was completely revised in May of 2016. Farro stuffed peppers are the best! Haven’t attempted cooking farro yet, but just about ready too. The type I have is pearled farro. Do I need to soak it overnight or just soak it ? I can’t figure that out from reading all the comments. No soaking required. I think the instructions in the post are clear about this. Have a look. I’ve had farro as a breakfast cereal at a restaurant in NYC…so delicious, so nutty, so toothy. It’s delicious with all the things you’d have with porridge, so cream, honey or maple syrup, fruits, whatever. So it’s not just suited to savoury things! I cooked it for the first time tonight in my panasonic fuzzy logic (expensive and programmable) rice cooker. It has programmes for each type of rice, like jasmine, brown, sticky, etc., along with settings for mixed grains, steam, porridge, etc. It makes bang-on perfect rice every single time. So this time, I used the “mixed grains setting”. I used the amount of water they recommended. Not quite cooked enough. So I put it back in and probably cooked it for another 20 minutes, in five and ten minute increments, having added a bit more water each time. So no way it would cook on a white rice setting…FYI… Anyway, it’s finally done and delicious. Next time I’ll experiment some more. I think the way to go it just put it on a timer, likely 45 minutes on the “quick cook” setting. It will be worth the trouble to figure this out. It was Bob’s Red Mill farro. DELICIOUS! Ididn’the read all the comments, but I Cook my Farro, if us in as a grain alone in my rice cooker. I also cook other grains such as barley, quinoa, wheat berries etc. Works like a dream! Nanci, I’ve never tried this. Great idea! Yes, you can use cooked farro anywhere that you have cooked rice. However, rice and farro cook at different rates and with different amounts of liquid so you cannot just add raw farro where you would have added raw rice without making adjustments. 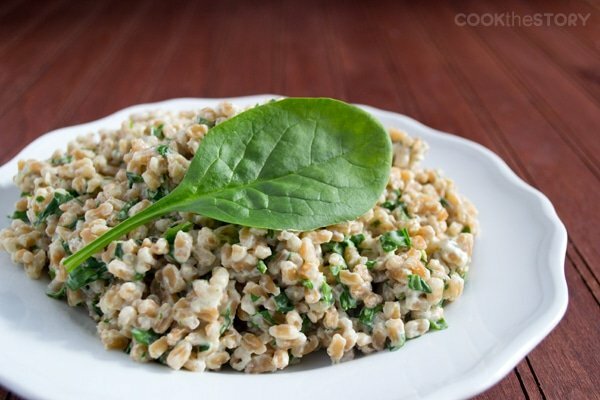 Thanks for the great tips on how to cook farro. I just found a recipe for roasted asparagus and scallion salad that is tossed with cooked farro that is tossed with a dressing – all of it is served on top of arugula. It looks beautiful and now I know it will be perfect! Thanks!! Hi Christine, I have a quick question that I hope you can answer. I’m going to cook farro for the first time and I was wondering if I can put it in my rice cooker. I am terrible at making rice and have only been able to successfully cook it if I use my rice cooker, so I was wondering if I can take the same shortcut and play it safe with my farro. Michelle, I have never tried it but I’m betting it would work perfectly. The only issue is the amount of time and the amount of water. I’d say put it in for as long as you would normally put white rice using the same amount of water. Then check it regularly and see if it is softened and if the water is absorbed. You can always add more water and more time. Make note of the amount of time and water needed and then you’ll know for next time. And I’d love it if you’d come back here and let us all know as well! Wow! Thanks for the extra info! Thanks so much for doing a posting about Farro. I have never tried it but have been curious about it for some time. 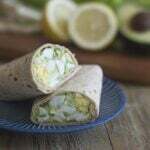 I am a diabetic and am always looking for low gluten or gluten free recipes that I can substitute for something that I am not suppose to have. Thanks again for the information on Farro! I haven’t tried farro yet, but after reading your post, I’m pretty sure I’ll be getting some soon. I love salads that use grains as a base and incorporate chopped veggies, so that’s probably what I’d make with farro first. The first time I tried farro was as part of a dish served at the retirement luncheon for a former colleague. It was served risotto style as an accompaniment to chicken cordon bleu and fresh steamed vegetables. Thank you for the recipes! I’ll try using farro at home now …. I have never cooked farro myself but looking forward to trying it. I would like to attempt a farro risotto like dish. I love farro and the product line also! Never tried it but i would love to . I would love to try a hot savory dish! I love Bob’s Red Mill! Just made some bread with their Dark Rye Flour yesterday! 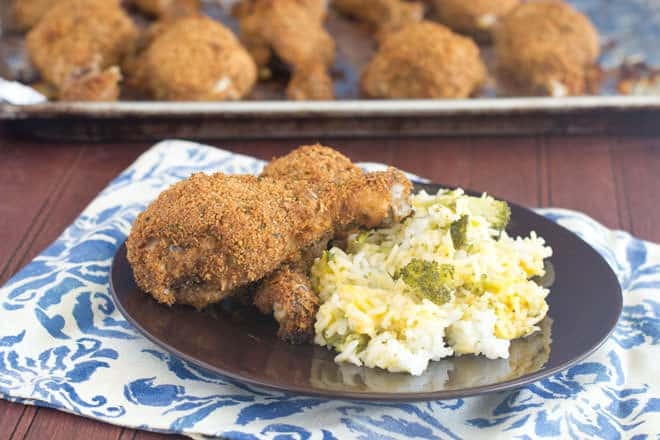 Would love to try Farrow as I am always looking for rice and starch replacements! I have never tried farro, but I’d love to try it warm, maybe with some roasted veggies…yum! I have never tried farro, but would love to try cooking it up in chicken broth with some herbs and spices as a side to grilled chicken breasts. Rebecca, I think that would be delicious. I love when grains soak up flavors during the cooking process. It adds so much to the dish. I have only made one dish with farro. It was a roasted green bean, mushroom and farro salad with feta and fried shallots. Memorable! I have not tried Farro, but I saw in one of the comments that there are Farro boards on Pinterest, so it should be fun trying new recipes with it. I love how you give all the basics on cooking it, especially the slow cooking method. That will probably become my favorite way. Mac and cheese sounds pretty good or a breakfast bake! I love farro! I have made it before meditteranean style with fat free feta, kalamata olives, tomatoes, and cucumbers. Delish! I haven’t tried farro – yet! I’ve tried other grains, such as teff, spelt, pearled barley, wheat. 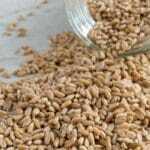 I’d like to try farro by coarsely chopping the grains and using it for hot cereal. I’ve coarsely chopped grains in my coffee grinder – it works great! I’ve also sprouted grains, and then chopped them and add them to bread recipes. I love experimenting. Rosie, What a great idea! I want to grind up some farro right now and give it a try. I love all different kinds of Bob’s Red Mill grains. They do a lot of gluten free products! Wendy, They’re so great. And I love having some gluten-free side dish ideas on hand at all times. I’ve never even heard of it! But it sounds like a maybe a healthy addition to stew or chili! Cori, It would be great in stew or chili. It’s very hearty and tasty. Perfect to take the place of some of the meat, in fact. i recently bought my first bag of farro and love the taste and texture! looks like a great giveaway! thanks for the chance to win. Alissa, I was surprised by how much my family and I loved it. I was expecting a bland boring grain. So much flavor and such a great texture. I’ve never tried it. Soup sounds good. Molly, You’ll have to give it a try soon. It is fabulous in soup. Good luck in the giveaway! I have not tried farro but I’d be interested to give it a try! Amber, You’ll have to let me know what you think when you try it out. Good luck in the giveaway! My dear friend brought me some farro soup mix from Perugia. It was really tasty, and I’ve looked forward to trying more of it! Nanci, A farro soup mix? That sounds so interesting. I’m going to look into it and see if I can find out. I love quinoa and bulgur in salads, soups and as a side dish. I would be interested in trying farro (and some of the other grains) in similar contexts and see how the taste changes. I have never tried farro. I love quinoa as a side, in soup or on salad and I also love bulgur in tabouleh or in soup as well. I wonder how farrow would be in one or any of these contexts. I haven’t tried farro before but putting it in soup sounds good. It IS great in soup. That’s probably one of my favorite uses for it. I’ve been keeping cooked farro in my freezer in a freezer bag and then just add it to soups whenever I make them. Perfect! I discovered farro when I tried a dish from a local healthy eating advocate, and i make variations of it all the time now. it was a farro salad with radicchio, roasted beets and feta. i add all kinds of things to change up the flavors, but it totally turned me on to farro. i made stuffed mushrooms with farro, too. it’s a really great grain! i may even like it better than quinoa =-O! I’ve never tried it before but I’m sure I’d love it. I’d like to make a Farro and garden vegetable salad out of it. 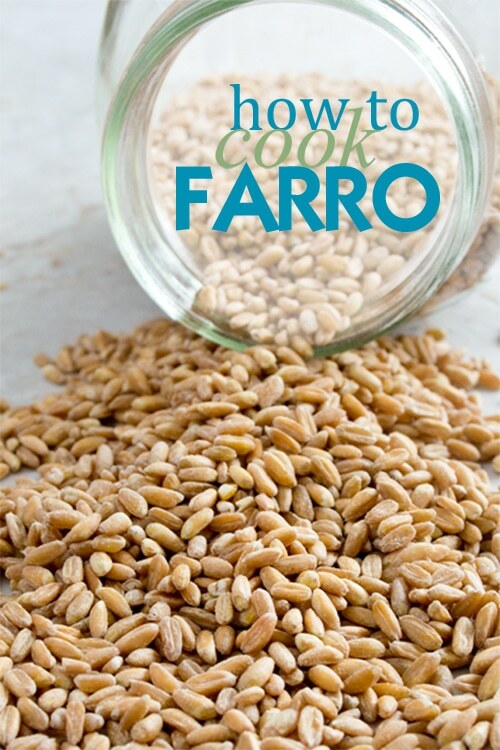 I have never tried Farro before but it sounds interesting. Cafe at work makes a delicious mushroom farro grain salad. Maybe I’ll try to recreate it now that I have three ways to cook it! I have seen farro in Costco. Now I have to pick it up and try it. I’ve never had it before, but I’m curious how it would taste in a porridge-type dish. I am gluten free so sadly I can’t eat farro but I’m sure I would love it! I’ve never tried it before but would cook it up in chicken broth for some flavor as a nice side dish. I cooked the farro in the rice-cooker and then made a farro and lima bean salad. It was hearty and SO delicious! Love farro! Was introduced to it in Italy. Love adding it to soup. Made a risotto style dish with it…lemon and asparagus..delicious! I like making Farro! My favorite combo is “Mediterranean style” with sun dried tomatoes, feta cheese and veggies. I have never tried farro but i would love to have it with veggies! LOVE farro and you’ve done such an awesome job going through the process. I’ve had farro in soup before. I would like to incorporate more farro recipes into our meal plan. I have not tried farro before and it would be tasty addition to my chicken salad for lunch. Thanks! This is so timely. Yesterday I took a class at the Extension Service about cooking with whole grains. All the giveaway grains were covered. This giveaway is so timely. Last evening I took a class at the local Extension Office about Cooking with Whole Grains. All the giveaway grains were covered. I have never tried it, yet. But I would really like to cook it in the recipe with cream cheese and spinach, sounds yummy! I’ve never tried farro, but a friend of mind always tweets about cooking farro. I think I’d like a hot savory dish of some kind. I have never tried farro before and I would like to try to make a cheesy chicken casserole with it! I cooked some farro right in my minestrone. First day, great, second day, weird and gooey. 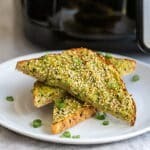 Would love some soup ideas. Love how comprehensive your post is…I’ve been wanting to try it. Pinning to reference when I do! I actually have a farro board on Pinterest, I love it so much. I often just toss in whatever I have around, like mushrooms and onion, or tomatoes and olives.